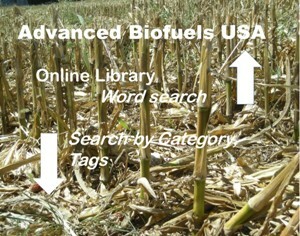 Advanced Biofuels USA is a 501(c)3 nonprofit organization. Your donations to support our mission are tax deductible. Your kind contributions in whatever amount you can give are greatly appreciated. If you are one of our contributors, THANK YOU for your support! Just Click on “Donate” at the top or side of this page. HELP MITIGATE EFFECTS OF CLIMATE CHANGE. Tell the story of how individual growers and emerging companies are benefitting consumers with high-mileage, clean fuels produced from sustainable NON-FOOD biomass. Bring together a new, inclusive coalition of growers, consumers, researchers, and entrepreneurs to build an Advanced Biofuels future of multiple solutions. Just click on the DONATE button along the right side of the page and your donation will be directed through the secure payment system, PayPal. Or contact Joanne Ivancic, Executive Director for specific information on how YOU can support improving the understanding, acceptance and use; the development, production and distribution of advanced biofuels. We will put your donation to good use as Advanced Biofuels USA, a 501(c)3 nonprofit organization, works to promote public understanding, acceptance, and use of advanced biofuels. To accomplish this mission, Advanced Biofuels USA requires funding for ordinary and usual operating expenses; as well as donations dedicated to particular programs and projects. We are a frugal organization, currently operated by volunteers who would like to grow this organization. 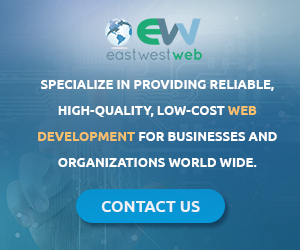 $500 pays for web site hosting, domain name renewal and basic web traffic analytics for a year. $500 keeps us in office supplies for a year. $5000 covers basic transportation costs to briefings and meetings for a year. $2000 covers web design modifications and updates for this growing organization over the course of a year. 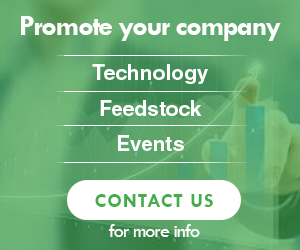 $50,000 will assure continuation of our daily web site updates of news on developments in feedstock, conversion technologies, grants, investing and financing opportunities, deployment of biofuels, educational programs, policy debates, legislative analysis, reports on conferences, meetings and events. $50,000 will fund the development of 4H and Future Farmers of America educational projects. $80,000 will fund a public relations program and participation in multiple conferences around the country with presentations to audiences within and outside of the biofuels and advanced biofuels industry. $100,000 will fund development and publication of extensive policy analysis and research into questions of strategies to assure most effective, efficient and sustainable use of resources to achieve energy security, rural economic development and job growth, military flexibility, climate change mitigation, pollution control and other benefits of transition to renewable fuels. $100,000 will help staff a central office. $200,000 will provide minimal salaries and benefits for a professional executive director, development director and support staff. Appreciation for your support will appear on every page (over 70,000 page views/week) of our web site with a link to your site. I will be happy to talk to you more about the exciting activities at Advanced Biofuels USA. 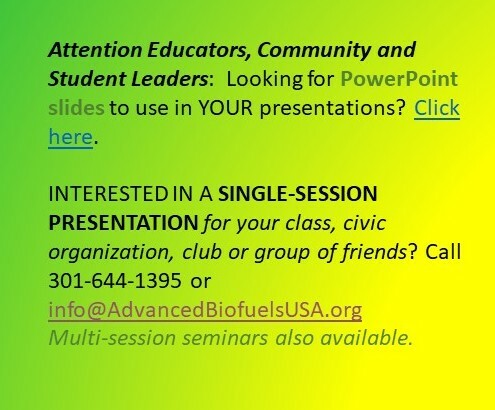 Please take a moment to affirm your support of Advanced Biofuels USA with a donation of $50, $100, $200, $500, $1000, or, if you can manage it, please be a sponsor of our web site; or JOIN our special projects circle at $50,000, $75,000 or $100,000. Just click on the Donate button at the top of this screen.